A Raku tea bowl emerged from the ideal of wabi aesthetics advocated by Sen Rikyû. When and where was born Raku ware, and who started it? Raku ware was started by Chôjirô, the forebear of the Raku family during the Momoyama period in the mid 16th century. A technical root goes back to sancai ware of the Ming Dynasty China. During the Momoyama period colourful pottery based on this three-colour sancai glazing came into production in and around Kyoto and Chôjirô was one of the potters practicing such techniques. The old document referred to Ameya, Chôjirô's father, originally from China who brought sancai techniques from his native country. 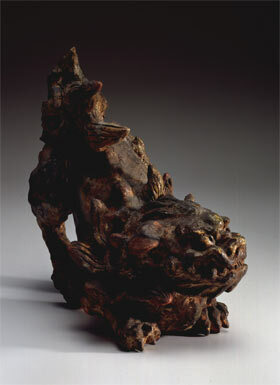 The oldest work attributed to Chôjirô is a two-glazed lion figure produced in 1574. His first tea bowl was presumably made five years after in 1579.